Community is one of the most life giving things I have ever experienced. The unfortunate thing is that many people think that just spending time with other people is considered community. I hear people talk about how important fellowship is and it’s true. The problem is that the words community and fellowship have become so distorted. Just because you spend time with people at church on Sunday and at some sort of mid week gathering from your church does not mean you live in community or are in fellowship with those people. I lived under these distortions for years and I missed out on so much. Over the last year and a half I have for the first time experienced real life giving community. Yes I see the people I am closest with on Sundays, yes I serve along side of them on Sundays, yes I see them at community group during the week but those are not the things that define the fact that I am in community with those people. When we look at the model of the early church it was much different than how we live our lives. They didn’t live compartmentalized lives where they had different groups of friends for different aspects of their lives. They lived life together and spent everyday with one another. For example, for myself, I would have a few guys I would talk with when I wanted to talk about global missions stuff, I had two guys from other church’s I would talk to when I had theological questions, one guy I would talk to when I was seeking dating advise and a group of other guys I spent time with when doing my hobbies. Don’t get me wrong I love those people and they have been a huge blessing to me over the years. The problem is that I was robbing myself and others by not living every aspect of my life with the same group of my people. It allowed me to hide my own sins, I never confessed anything, repentance was something I had only talked about but never done myself, I was not fully known by anyone and I believe it gave me a distorted view of who God was. To put it best, community can only be experienced by living life together with one another. Since coming to Mars Hill Church in August of 2011 I have experienced real community for the first time. I can remember feeling like I was bothering my first community group leader and his family because I seen them so much. I spent most of my time with them at church, I was with their kids when I was serving in children’s ministry, I went to dinner with them after church, I was the first person to community group and I was the last person to leave. I got to know them so well and was so blessed by them. I got to see how they parent their children, I got to see their deep love for one another, their love for the church, their love for the lost and their devotion to the community in which Jesus had placed them. For the first time in my life I was known. I had exposed every part of my life to this family. Deep inside I had a fear of being rejected but all I received was love and kindness. I haven’t been in their community group for over a year but I am still extremely close with them. I call them mom and pops. Their parents got me an easter present last year that had “to our grandson” on it. This is love. This is family. They have reflected the image of God to me in ways that I never thought were possible. There are certain sections of scripture that describe who God is, who He says we are and how He view us. I have always understood them at an intellectual level but they became real to me as they reflected God’s image as I lived life with them. They will never understand the impact they have had on my life that will last for eternity. Thank you Steve and Gina Zeitlow for being such a blessing to me, putting up with my constant antics and smart remarks. Thank you for allowing me to be a part of your lives. Thank you for being a reflection of God the father, Jesus and the Holy Spirit. 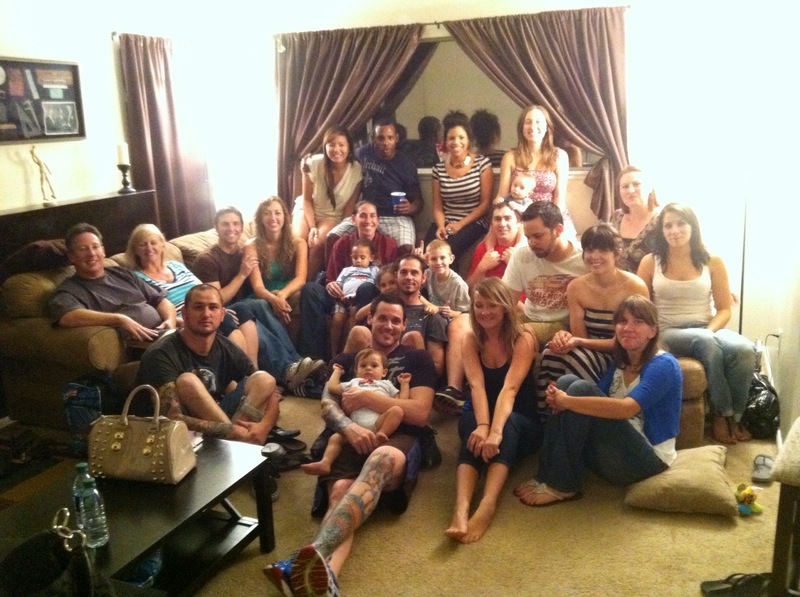 Shortly after being in their community group we had grown too large and launched a new group in Diamond Bar. Within a few months we had grown too large again and started another group at my house in Riverside. Along the way I have been so blessed by so many people. Once we started the group at my house I was really allowed to experience community at a new level because I was now able to live life with people that actually lived near me. 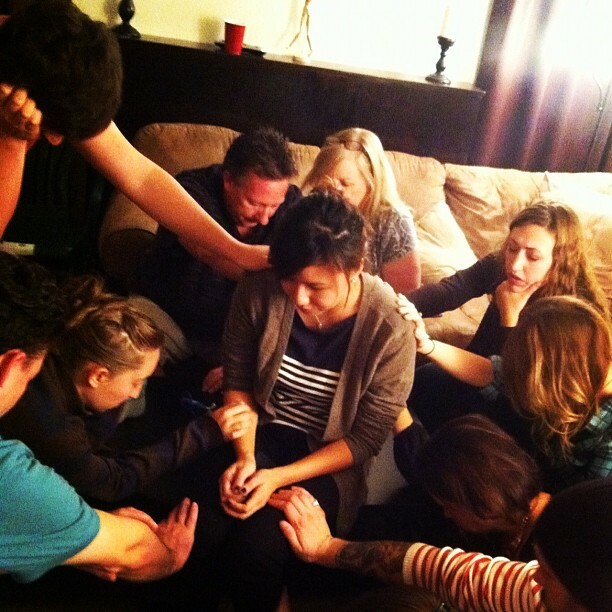 When we first started the group we shared our testimonies and it really brought us close together. As we began to grow together as a family I began seeing things differently and was given a new perspective on so many things. I exposed myself time and time again only to be loved in return, I watched others expose themselves only to be loved on, I watched men confess their deepest sins and constant struggles, we laid hands on one another in prayer and we began living life together. As a single guy who knows all the scriptures on marriage in theory, I had never seen what marriage looks like practically. I had never seen a marriage that was centered on Jesus lived out before my own eyes. I didn’t know what it looked like to raise children in the ways of the Lord. By God’s grace I have had so many examples of God honoring marriages and children being brought up in the ways of the Lord. Their marriages reflect the image of God in ways that I would have never understood had God not brought them into my life. I am not saying that all their marriages are perfect but what I am saying is that I got to see glimpses of how God loves me when I seen men love and lead their families. The biggest thing I learned wasn’t what the right answer is to everything or what to do in certain situations. The biggest thing I learned is what to do when I sinfully do the wrong thing. Repentance and time with Jesus is everything. Thank you Daniel and Megan Garcia for pouring so much life into me. I can’t even imagine not having the two of you in my life. Thank you Nollan and Rhianna Obena for opening your home, cooking for me, letting me see what it looks like to raise children in the ways of the Lord and constantly pouring so much life into me. Thank you Nate and Beth King for letting me see you demonstrate your faith as you tried to get pregnant, for letting me see your zeal for the Lord, for giving me a beautiful picture of what marriage can be and I can’t wait to see your daughter grow up in the ways of the Lord. I could literally sit here all day typing about how I have been blessed by those I am in community with. 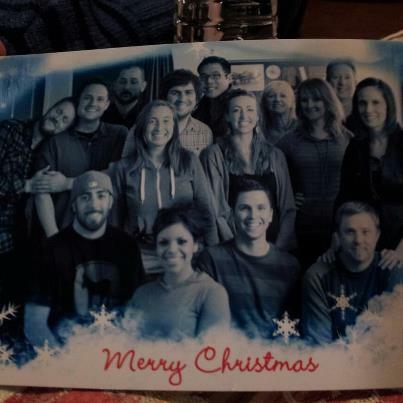 I have been so blessed by every single person in my community group and those I spend time with at church. There are many areas I can grow in my devotion to my community. There things I am sure I haven’t experienced yet. By God’s grace my hate for sin will increase every day, my devotion to life revolving around me will dissolve and day by day I will strive to life my life by God’s word. I want to encourage you to find a church that preaches the bible and holds the bible as their highest authority. Serve the church you call home with all of your heart withholding nothing. Give generously. Be known in your church and in your community. Expose every part of your life and let them speak truth and love into it. Repent frequently. Live life with the people Jesus has placed into your life. Living life with people is messy and tough but it is such a blessing. Not only will you be blessed but you will be a blessing to others. Here are a few scriptures that have helped me along the way. Enjoy!